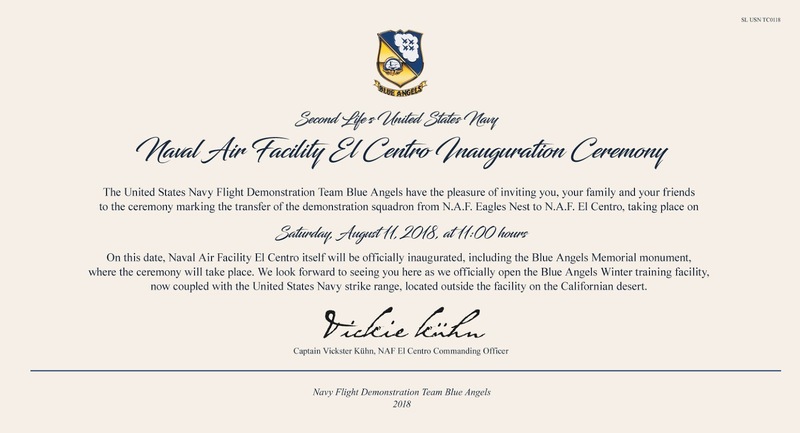 Starting at 10:45 hours this day (10:45 am SLT) we invite all to the transfer of the Navy Flight Demonstration Team Blue Angels winter training facility from NAF Eagles Nest where it was for the past 3 years to NAF El Centro. 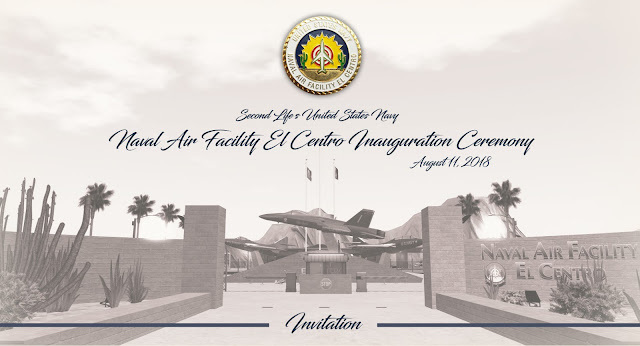 The new facility is inspired by real life Naval Air Facility El Centro, which in fact is the Blues winter training place and also home of the Navy Joint Strike Command with a desert bombing range. The new facility and range are spread through 4 sims, two as the facility itself and two as the desert range. As all Third Fleet installations we are open to all aviation lovers in Second Life, provided a few local rules are observed. End of Miramar story? Sad. Was nice place and tricky for landing practice. Ane news about Blue angels team? When will be closest event?